Validity till 31st October, 2017. You can avail 15% cashback on F&B products at Café Coffee Day in case you pay using Airtel Money. Minimum transaction value should be Rs. 275 (exclusive of taxes). The offer is valid till 31st October, 2017. Almost an year is there for you to enjiy this Airtel Money offer. 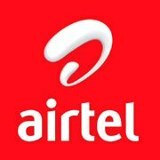 This Airtel money offer is applicable for Airtel Payments Bank customers, also known as Airtel Money customers. Only if the payments are done at Café Coffee Day using Airtel Money will be considered for this Airtel money offer. Minimum transaction value to avail this Airtel Money offer should be Rs. 275 (exclusive of taxes). This Offer is not applicable on merchandise and/or Combo offers. The cashback will be credited within 72 working hours of transaction. Airtel Money reserves the right to disqualify a person from the benefits of this offer in case of any fraudulent activity/suspicious transactions. Airtel Money reserves the right to modify/change all or any of the terms and conditions applicable to this offer without assigning any reasons or without any prior intimation whatsoever. Airtel Money reserves the right to discontinue this Airtel offer without assigning any reasons or without any prior intimation whatsoever. In case of any disputes, Airtel Money’s decision will be the final decision. Airtel Money’s general Terms & Conditions available on http://www.airtel.in/personal/money/terms-of-use. are also applicable to avail this offer. Please send your queries at wecare@airtelmoney.com. Validity - Till 10th November 2016. Offer description - You can avail 10% cashback when you pay using the Airtel Money app. Maximum cash back amount is Rs. 500. This Airtel money offer is valid at Sangeetha Mobile stores located in Karnataka, Tamil Nadu, Andhra Pradesh and Telangana only. This Airtel money offer can be availed only when payments are made using the Airtel Money app. Your Airtel Money wallet will get 10% cashback. One customer can avail this offer only once during the whole offer period. Cashback will be credited to your Airtel Money wallet within 2 business days of transaction. Validity - Every Thursday to Sunday Till 1st January 2017. Offer description - You can avail Rs.150 cashback when you pay using the Airtel Money. This Airtel money offer offer is available only for Airtel Money Customers. The offer can be availed only when you make the payments using Airtel Money. Minimum purchase amount is Rs.200. Existing Airtel Money users can use the offer once per wallet during the offer period. Existing Airtel Money users can use the offer once per wallet per month during the offer period. Cashback would be credited within 48 business hours in the Airtel Money wallet. This Airtel money offer is valid on every Thursday to Sunday till 31st January, 2017. Offer is available on online orders made on the desktop, mobile website and app. Offer is not applicable on offline ticket purchases. This offer is applicable on discounted and non-discounted products. This This Airtel money offer cannot be clubbed with any other promotion/offer running on the website and bundles available on BookMyShow and Airtel Money. In case of full or partial refund, the whole or part cashback will be deducted from the customers’ Airtel Money wallet account. If the customers’ Airtel Money Wallet has zero balance, then the wallet account shall show a negative balance equalling the amount of cashback. This amount will be adjusted as soon as the cashback or refund is deposited in the customers’ Airtel Money Wallet. Airtel Money does not warrant or guarantee availability of inventory on the BookMyShow platform. All capitalised terms used but not defined herein shall have the respective meanings ascribed to them in the Airtel Money Wallet Terms and Conditions. Offer description - You can avail 25% off on Jabong when you shop using Airtel Money. Minimum transaction value is Rs. 799. Maximum discount is 35% of the MRP. This Airtel money offer can be availed only when payments are made using Airtel Money. Minimum purchase amount is Rs.799. Maximum discount is 35% of the MRP. Offer valid till 30th November, 2016. Offer can be availed through the desktop site, the mobile site, as well as through the app. Offer is not applicable on product bundles, discounted and non-discounted products. Offer is not applicable on purchase of gold coins, precious jewellery, innerwear, beauty products, Tommy Hilfiger, Casio, Gini & Jony. This airtel money offer cannot be clubbed with any other promotion/offer running on the website and bundles available on Jabong. Any fraudulent activities including creating duplicate accounts, aliasing, placing multiple orders or violating the Terms and Conditions will lead to order cancellation. Offer description - You can avail Rs. 50 discount when you purchase Food and Beverages on BookMyShow using Airtel Money. Coupon code SNACK50 has to be used to avail this offer. Offer is valid only till 2nd November, 2016. Offer is applicable on a minimum ‘Food and Beverages’ transaction of Rs. 100 and a total cart value of Rs. 500. This airtel money offer can be availed only once per wallet during the offer period. Maximum discount that can be availed is Rs. 50 (only on Food and Beverages). This offer is applicable on purchase of movie tickets and food & beverages in the same transaction. This airtel money offer is available on online orders made on the desktop, mobile website and app. This airtel money cannot be clubbed with any other promotion/offer running on the website and bundles available on BookMyShow and Airtel Money. This offer is also subject to Airtel Money and BookMyShow General Terms & Conditions available on http://www.airtel.in/personal/money/terms-of-use. In the event of a full or partial refund, the whole or part cashback shall be deducted from the your Airtel Money wallet account. In case your Airtel Money Wallet has zero balance, then the account shall show a negative balance equalling the amount of cashback. This amount will be adjusted as soon as the cashback or refund is deposited in the customers’ Airtel Money Wallet. Airtel Money does not warrant or guarantee availability of inventory on BookMyShow platform. Customers who shop using Airtel Money during the Kapsons’ Winter Shopping Carnival 2016 has a chance to win free shopping for up to Rs. 10,000. Minimum shopping amount is Rs. 3,500. Maximum cashback is Rs. 10,000. The airtel money offer is valid till 25th December, 2016. 33 customers will be announced as winners during the carnival starting from 1st October, 2016 till 25th December, 2016. Cashback will be credited in the Airtel Money wallet which is used for paying at Kapsons. Offer description - You can avail 5% cashback at Apollo Outlets across Delhi NCR. This airtel money offer is valid only till 30th November, 2016. Only if the payments are done using Airtel Money at Apollo Pharmacy in the Delhi NCR region will be considered for this Airtel money offer. The airtel money customer can avail a maximum cashback of Rs.100 within a month. The cashback will be credited within 72 working hours to the Airtel Money account used for making the payment. You can avail 10% cashback on the first transaction made using Airtel Money on the Myairtel app. The offer is applicable only when the transaction is done through Airtel Money on the Myairtel app. The offer is applicable only for new users of Airtel Money. Cashback will be credited to the Airtel Money wallet within 48 hours of the transaction on the Airtel Money app. Minimum transaction value is Rs. 200. This offer can be availed only once during the offer period. Offer description - You can make your pre-Diwali shopping more rewarding with up to 10% off on eBay for payments made using Airtel Money. The offer is available only for Airtel Money customers. Maximum discount one can avail is Rs. 1000. Voucher code to avail the offer is AIRTEMPOF1. The offer can be availed once per wallet during the offer period. Offer is applicable only when the transaction is made using Airtel Money. Cashback would be credited in the customer’s Airtel Money account within 48 business hours of the transaction. The Offer is valid till 30th November, 2016. The above offer is available on the desktop, the mobile website, as well as the app. This offer cannot be clubbed with any other promotion/offer running on the website and/or bundles available on eBay and Airtel Money. In the event of a full or partial refund, the whole or part cashback will be deducted from the customers Airtel Money wallet. In case the customer’s Airtel Money wallet has zero balance, then the account will be in negative and will be adjusted as soon as the cashback or refund is deposited in the customer’s Airtel Money wallet. Airtel Money does not warrant or guarantee availability of tickets and inventory on the eBay platform. All capitalised terms used but not defined herein will have the respective meanings ascribed to them in the Airtel Money Wallet Terms and Conditions. Enjoy a cashback of up to Rs. 100 on utility bill payments made using the Airtel Money app. This airtel money Offer valid only on first-time utility bill payment. This offer is valid only for Airtel Payments Bank (Airtel Money) customers. This offer can be availed only when payments are made using the Airtel Money app. Airtel Money wallet will get up to Rs. 100 cashback. Offer applicable only on first-time utility bill payment (for the Electricity and Gas operators listed on the app) made using the Airtel Money app. Offer can be availed on the Airtel Money app and Billers’ website. Cashback will be credited to the Airtel Money wallet within 2 business days of transaction. Offer description - You can avail a cashback of up to 8% on Airtel Digital TV recharges made using the Airtel Money app. This offer is valid only for Airtel Money customers. The offer can be availed only when the payments are made using the Airtel Money app. Offer is applicable only on recharges made by active Airtel Digital TV subscribers. Up to 8% cashback will be credited in your Airtel Digital TV account within 48 hours of the transaction. This offer can be availed only once a calendar month. Offer description - Get 5% cashback on a minimum recharge of Rs.100 using the Airtel Money App. Applicable only if transaction is of Rs.100 or greater. Maximum of Rs.25 could be availed as cashback per user. Cashback will be credited to Airtel Money wallet within 2 working days. A customer can use this coupon code only once. This airtel offer is not applicable on funds transfer between two persons or between person and bank. Offer description - You can avail 10% cash back on your first transaction on the Airtel Money app. Offer applicable on transactions related to recharge (mobile, DTH and data card) and bill payments (mobile, landline and data card). Offer not applicable on transactions related to load cash, P2P transfer to bank accounts, utility bill payments, merchant payments (offline and online). Maximum cashback that can be availed is Rs. 75. Cashback will be credited to the Airtel Money wallet within 48 hours of transaction on the Airtel Money app. The user must use the coupon code NEW10 to avail the cashback. User has to do a minimum transaction of Rs. 200 to avail this offer. Customer has to use the coupon after first web cash-in only (the first cash-in should not be done through P2P transfer). Hope you find the list of Airtel Money offers is useful for you. Please check the page http://www.airtel.in/money for 100% correct details. We do not claim this article as 100% error-free.